What you should know before you go hunting!! 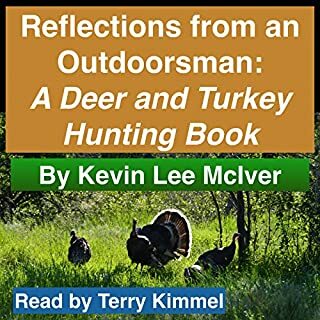 What made the experience of listening to Reflections from an Outdoorsman the most enjoyable? We very much enjoyed Mr. McIver's stories about his early years of hunting. Those stories alone could fill a book, I think. Buy it, it is well worth it !!! If you could sum up Geronimo in three words, what would they be? 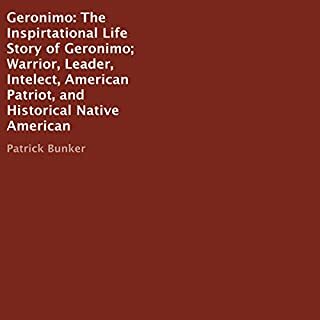 This book brings to light what Geronimo really means to all Americans. Good book. 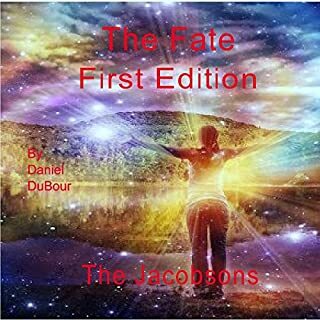 What was one of the most memorable moments of The Fate, First Edition: The Jacobsons? I have listened to a few other books narrated by Joshua Bennington, the man is good. We have liked all of his work. This book takes the listener on a roller coaster ride of emotions. Major events take place one chapter after another. I would recommend this book. It was very entertaining. 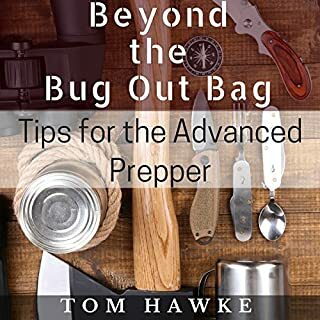 What you need to think about after the "BAG"
I have recommended this book to a few of my prepper friends. It just helps educate us and prepare us to take care of ourselves. This book should to added to any preppers library of books about what could happen. 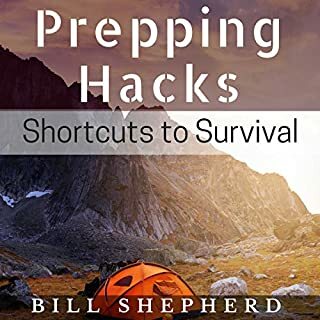 This author takes the new prepper past the packing of a bug out bag to help answer philosophical questions. Where does Stop Smoking rank among all the audiobooks you’ve listened to so far? It was a very good reader. I liked his voice and could listen to him and few more times. My favorite part of the book were the suggestions on how to stop smoking. Some were new and some were old but I need to hear them over and over again to ever stop. 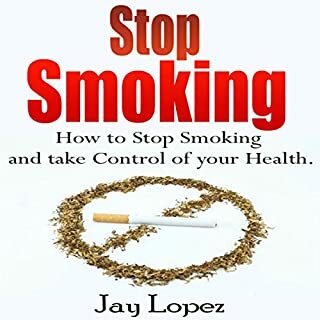 The book is a motivational audio book to try and get us smokers to stop. Every little bitr helps. I will keep listening to the audio book on my way to work. May be something will sink in. The fight between man and machines goes on and on! 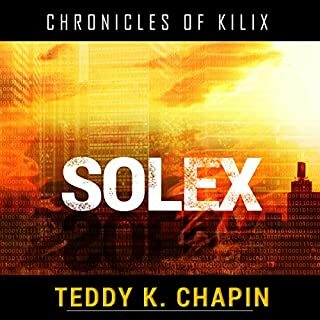 What did you love best about Solex? What I liked best about Solex was that man started to gain back his place on earth against the machines. And that Kilix was in a leader ship role and fighting the AI and winning. 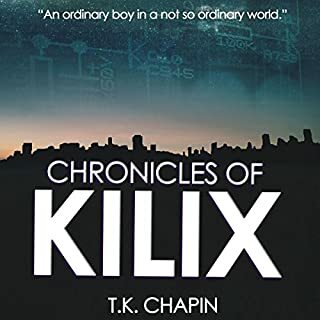 Kilix was my favorite character because we have followed his growth from a high school student to the leader of the resistance to the machines. .. He not only gives the characters a presence but gives the story a tone that I would never get from a printed book.. This was the best of the three books and I loved it!! Would you listen to Prepping Hacks again? Why? There was a lot of information in the book that I am sure I will not remember, so yes I will be listening to the book a few more times. This book was my first book on prepping. It was easy to follow and narrator was clear and easy to follow. I would recommend this book to any one who might be thinking about what they could do to prepare a disaster. 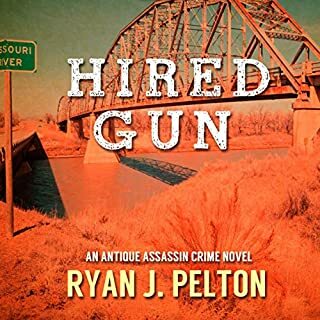 Where does Antique Assassin: Reborn, Book 1 rank among all the audiobooks you’ve listened to so far? Antique Assassins ranks about in the middle of the audiobooks I have heard. The narration was better than the story but still interesting. What was one of the most memorable moments of Antique Assassin: Reborn, Book 1? The most memorable moments were the number of people killed and the lack of concern the main characters had with their loss....you know just another dead person!! I have heard his performances with other books he narrated and have always liked his voice. It was not a great book but not a bad book either. I loved the villain Peter as done by Joshua Bennington. Reading the book never gave me the same impression of Peter that I got from hearing him speak. This book was even better than the first book. More action and quicker events. I can not wait to hear the third book! I enjoyed the first two books very much and recommend them. I thought that Mr. Capin,s depiction of High School never changes!! Joshua Bennington did a memorable job with the voices of the different teenagers as well as some adults. What was most impressive was that he did half of the book in a female teenagers voice.and the other half in a male teenagers voice.. 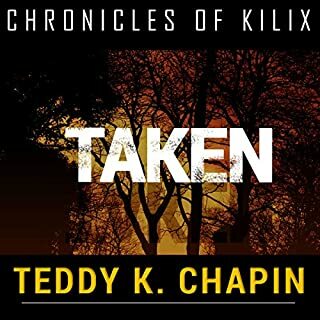 I liked this book and will be listening to his next book in this series.It was good, get it!